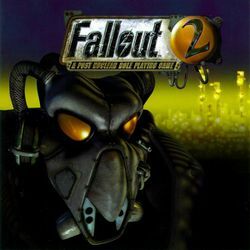 Fallout 2 begins in July 2241, about 80 years after Fallout started. It shares the same game engine with the original Fallout and, like its predecessor, is just as engaging, original, and violent. The plotline begins when the Vault Dweller was exiled from Vault 13 at the end of Fallout. The Vault Dweller was followed by a few other dwellers, and together they trudged northward in the wastelands of North California. The small group founded a community, Arroyo. It was (and still is) a primarily agragrian community and is quite primitive, but the villagers later turned it into a thriving community. The Vault Dweller vanished from Arroyo and was presumed dead. His daughter became the Elder of the village. 35 years after the Elder received the title of Elder, the economy of Arroyo slowly began to deteriorate and needed the Garden of Eden Creation Kit (G.E.C.K) to survive. Your character was chosen for that role and now has been sent to retrieve the G.E.C.K from the holy Vault 13.